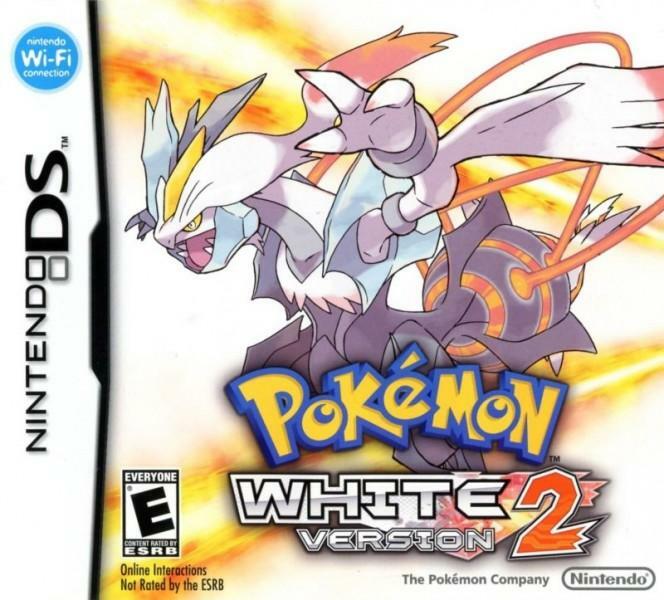 Pokémon Black and White Version 2 are the final core series titles of Generation V. They are direct sequels to Black & White, and at this point are the only direct sequels in the core series. Although these games don't bring any new Pokémon with them they do expand the Unova Pokedex to include 300 Pokémon, the supplement over Black & White being the inclusion of Pokemon from earlier generations. Like Black & White before them these games enjoy minor enhancements when played on the DSi or 3DS (when compared to playing them on a standard DS). These titles were announced on the international and Japanese versions of the official Pokémon websites on Februrary 26th, 2012. On that same day Junichi Masuda announced them on Pokémon Smash, a Pokémon TV show that aired on Japan's TV Tokyo network. The game mascots for these title are the once again forms of the legendary Pokémon: Kyurem, White Kyurem being the mascot of Pokémon White V2 and Black Kyurem being the mascot of Pokémon Black V2. The titles were released first in Japan on 23rd June 2012, followed by the U.S on October 7th, 2012, days later on October 11th, 2012 in Australia and in Europe the day after. South Korea had to wait a bit longer and finally got release on November 8th, 2012. Two years after the events of Black and White we see a New, Bigger Unova, with three new Gym Leaders and a New Champion, expanding the Pokedex to include all Pokémon who are foreign to the region. The player beings in Aspertia City this time, receiving their starter Pokémon from Professor Junipers Assistant, Bianca, they are encouraged to go on a Pokémon Journey to defeat the Pokémon Gyms and ultimately the Pokémon League. Hugh, a friend of the player, will accompany them on some occasions, he is the Rival of the player but they don’t pursue the Pokémon League dream, they want to free a Pokémon that Team Plasma kidnapped. Through their Pokémon Journey, the Player and Hugh will find previous members of Team Plasma, alongside Colress. Zinzolin, one of the seven Sages appears as an antagonist, while former sage Rood will help the player. 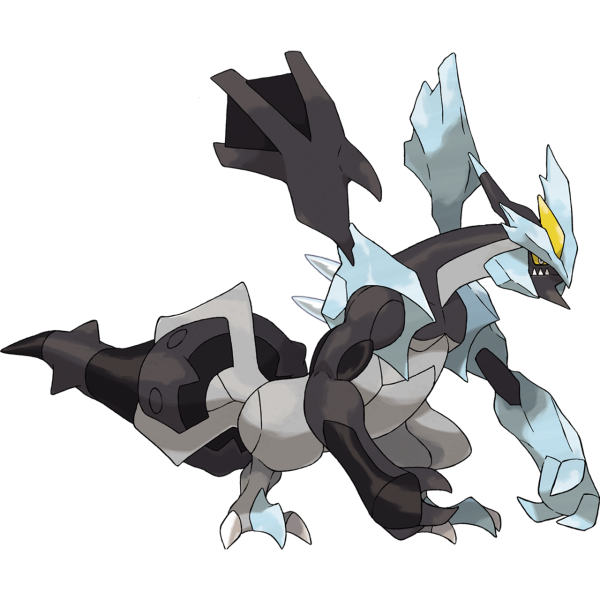 Zinzolin at a certain point freezes Opelucid City in ice helped by Kyurem and machinery. The player now has to defeat Team Plasma and their new leader Ghetsis to free Kyurem. Ghetsis will combine the power of Kyurem with the legendary Dragon befriend by N, his son, two years earlier and force Kyurem to fuse with either Zekrom or Reshiram. After Kyurem is saved and Team Plasma is disbanded, the player will be able to face The Elite Four again and win the Pokémon League. After this happens, many parts of Unova are accessible such as the Skyarrow Bridge. 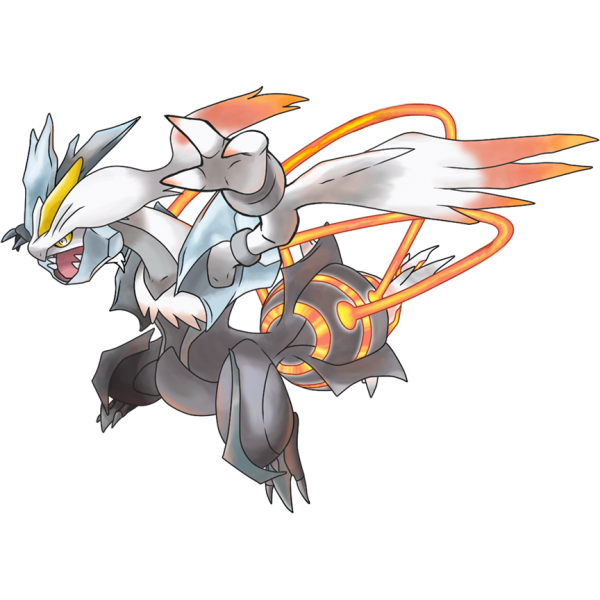 Other Pokémon that are not native to Unova become available and Zekrom/Reshiram and Kyurem will reveal themselves to the player, once caught the player will be able to fuse them to change Kyurem form at will. As the direct sequels to Pokémon Black and White, Pokémon Black 2 and White 2 take place in the same region, but bring out many new changes to the plot, graphics, areas and gameplay, along with the addition of few features. The game will now start at Aspertia City, instead of Nuvema. Few changes were done to the Gym Leaders. 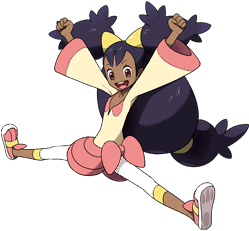 Lenora, Brycen and the three brothers Cress, Cilan and Chili were replaced respectively by Roxie, Marlon and Cheren. The Gym Leaders order was also changed and they are battled in the following order: Cheren, Roxie, Burgh, Elesa, Clay, Skyla, Drayden and Marlon. 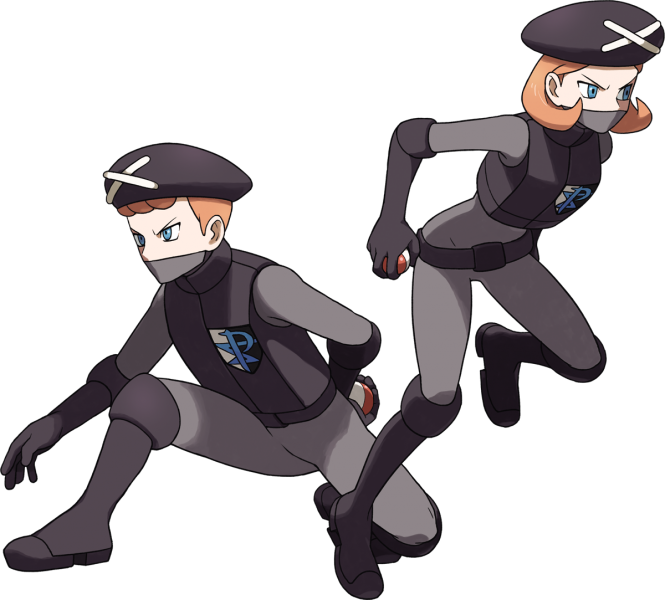 Team Plasma resurfaces and still aims to spread chaos through Unova. The player will get their starter Pokémon from Bianca. Iris is the new Unova Pokémon Champion. 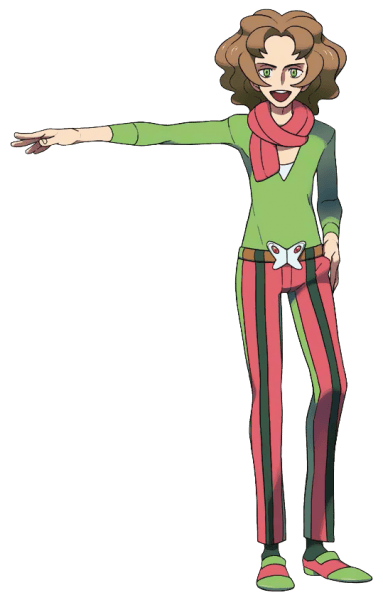 Many characters were redesigned, such as Ghetsis, Bianca, Elesa and Cheren, while new ones were introduced like Colress, Roxie, Benga, Hugh and Marlon. The Battle Menu, C-Gear and the opening of the game have all been redesigned. All the Pokémon trainers now have animated sprites, including the old Gym Leaders and Champion featured in Pokémon World Tournament. Many areas got tweaked, such as Driftveil City and Nimbasa City, while all the Gyms in Unova got redesigned. Some locations can no longer be accessed as the Challenger's Cave and Route 10. Some others were redesigned to be unique and look different depending on whether it's the Black 2 version or White 2. Many Pokémon skills got graphically changed, as they now have new animations. Several Hidden Grottoes areas were added to the region. These locations may contain rare Pokémon or items. The player no longer need to remove their Pokémon's equipped items to switch them, since they can switch them directly from a party member to another. Balloon Smash and Balloon Catch are two new mini games added to the Xtransceiver. A new Medal System is featured in the games, where the player can receive medals at Pokémon Centers and store them in a Medal Box. 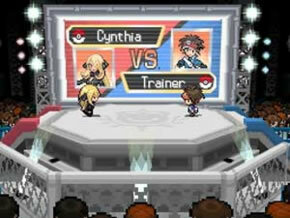 Pokéstar Studios is another fun feature introduced in Pokémon Black2 and White 2. It allows the player to select some scenes and play them during acts, in order to make Pokémon films. All the Gym Leaders and Pokémon Champions up to the fifth generation can be battled in the new feature, Pokémon World Tournament. As the Repel effect wears off, a window will show asking the player if they want to use another one. This only happens if the player has additional Repels in their bag. Similarly to Pokémon Platinum, the two sequels reintroduce the Move Tutors feature. These are some characters that can teach the player's Pokémon new moves in exchange of shards of certain colors. The moves include rare abilities, that cannot be found as TMs. Check out our guide to Move Tutors in Pokemon Black & White 2 for more information. Pokémon Black 2 and White 2 feature the same Pokémon from the previous versions, with the addition of two new forms for Kyuurem, which are the Black Kyuurem form for Pokémon Black 2 and the White Kyuurem form for Pokémon White 2. The Unova Pokédex now includes Pokémon from the other regions, which is showcased through the Swarm Pokémon, Tradable Pokémon and Legendaries available in Unova. Moreover, Just like Black and White, the sequels too, have exclusive Pokémon to each of them. Check out our guide: The Legendary of Pokémon Black & White 2 if you need some help finding and capturing all of the legendaries. The Unova Region remains for the most part as it was in the original Black & White games, click here for more general info on Unova. 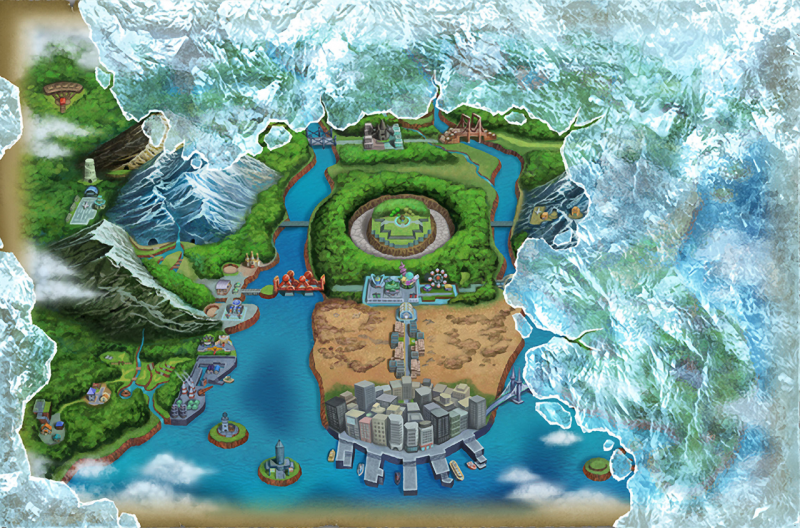 Unova being engulfed by a sheath of ice, part of Ghetsis' plan in these games is to use Kyurem to freeze the whole region. 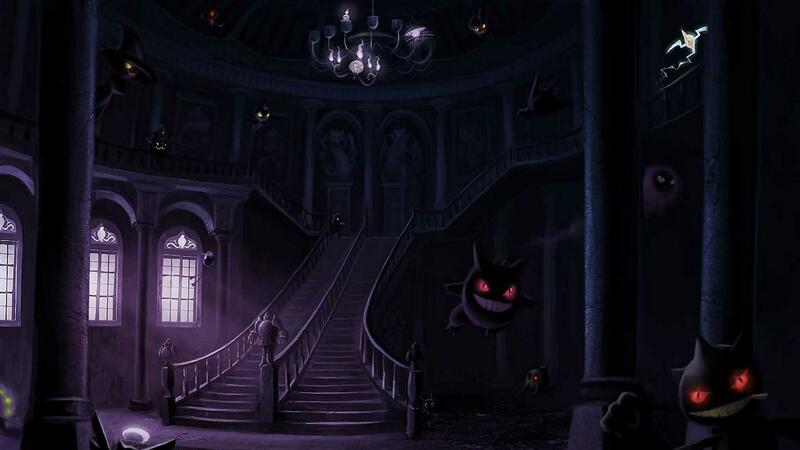 It's the evil organization of Unova, which was thought to be completely wiped out during the previous games' events. Team Plasma reappears but divided into two opposing branches. One branch is led by Ghetsis who aims to use Kyurem to freeze the Unova region and gain control over, while the other branch is led by his son, N, who's still compassionate and wants to help Pokémon and stop his father's evil plan. 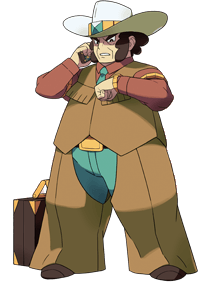 Team Plasma also has a new executive known as Colress, who 's a Pokémon researcher that seeks to unlock the Pokémon's ultimate power. Since the original version of Black & White which was set 2 years prior to Version 2 there have been some changes to the gym leaders in the Unova region, with some gym leaders either passing on their positions to others in order to progress, and some just outright retiring from the Unova Gym Circuit. The first gym challenge of Unova 2 years on is Cheren, after Chili Cress and Cilan have moved on and no longer operate the Striaton Gym. Cheren specialises in normal type Pokémon and is known as "The one who seeks the right path.". 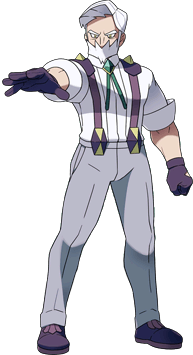 Cheren has always posessed a great knowledge of Pokémon even as a youngster, demonstrated in the first Black & White games where Cheren is the childhood friend of the player, and also offered them advice and guidance during the course of their first adventure in Unova. 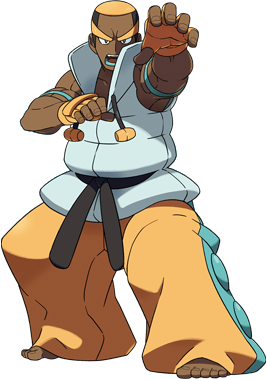 although Cheren is well regarded as a good, honest and knowledgeable character he has been described as 'a little difficult' by Professor Juniper and 'quite judgemental' by Alder the former Unova Champion. His team is made up of:- Patrat (Level 11) a normal type and Lillipup (Level 13) also a normal type. Defeat Cheren and he will reward you with the Basic Badge as well as TM83 (Work Up). "You must be a challenger! Welcome to Aspertia City's Pokémon Gym. I'm Cheren, the Gym Leader! Hm? Well, maybe I'd better say that I just became the Gym Leader! More importantly, we need to prepare before welcoming you to the Gym." "We have a challenger You two, take your places!" "If you can defeat these two, then I'll be your opponent!" 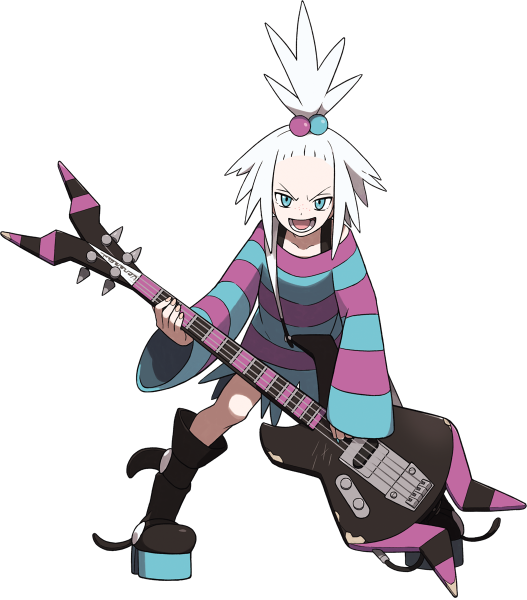 Roxie specialises in Poison-type Pokémon and bass guitar, her gym has a strong musical influence, it's as much like a nightclub as it is a gym. She is known by some as "Poison days, poison on the stage!". In normal mode Roxie's Pokémon are Koffing (Level 16) a pure poison type and Whirlipede (Level 18) a bug/poison type. Overwhelm Roxie's poison mons to obtain the Toxic Badge and TM09 (Venoshock). "Get ready! I'm gonna knock some sense outta ya!" Two years after the events of the original Black & White Burgh and his bugs are still representin' at the Castelia Gym. Think you know what to expect in Burghs team? Think again, theres been some changes: Swadloon (Level 21) a bug/grass type, Dwebble (Level 21) a bug/rock type are both new editions, but his Leavanny (Level 24) a bug/grass type is still the cornerstone of his team. Burn out Burghs bugs once more to recieve the Poison Badge and the same TM he gave away previously (76/Struggle Bug). Elesa's team this time round is made up of Emolga (Level 27) flying/electric type, Flaaffy (Level 27) a pure electric type and Zebstrika (Level 27) a pure electric type. Clay still has his Krokorok, which is a bit higher level this time round at Level 30. His Palpitoad isn't in his lineup and is replaced by a Sandslash (Level 29) pure ground type. The cornerstone of his team remains his Excadrill (Level 30-33) which is a ground/steel type. 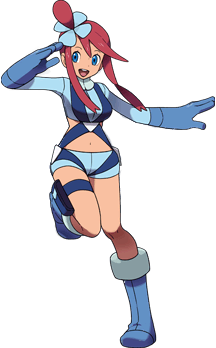 Skyla is fanatical about Flight, and more specifically about Flying-type Pokémon, she owns her own airport and it's said that her grandfather was a legendary pilot. In the time between Black & White and their sequel titles Skyla confided in her good friend and fellow gym leader Elesa about changing her image. Skyla still has her Swoobat and Swanna, but they've done a bit of levelling up since you last encountered them. 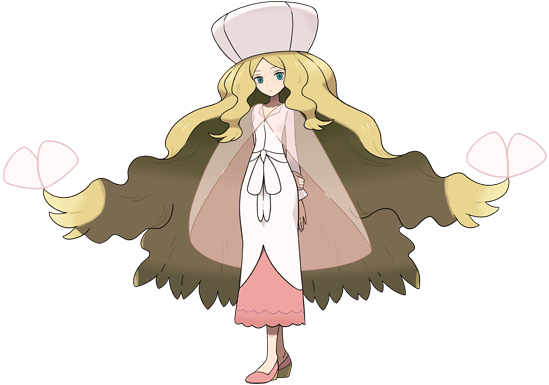 Her Swoobat has gone from 33 to anywhere between 34 and 37 and her Swanna has gone from 35 to 36-39. Skyla has dropped Unfezant from her starter three and replaced it with Skarmory (Level 34-37) a steel/flying type. "Welcome. Thank you for coming. I am the Opelucid Pokémon Gym Leader, Drayden. As the mayor, I've given everything to developing the city. As a Trainer, I've simply been pursuing greater strength. But what I'm searching for now is a young Trainer who can show me a bright future. Perhaps you can show me that future, the way Iris has ?" 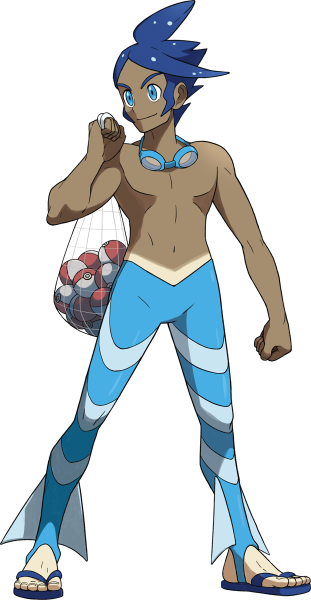 Marlon is the eighth and final gym leader you will face, he is a very strong Water type trainer and is well known for his kind nature and gives passionate advice to the player. He is relaxed and carefree in his mannerisms, to a point where by the time you reach him he still doesn't even know who Team Plasma are or even if they're good or bad. Guess he had more important things going on like Swimming in the Sea? 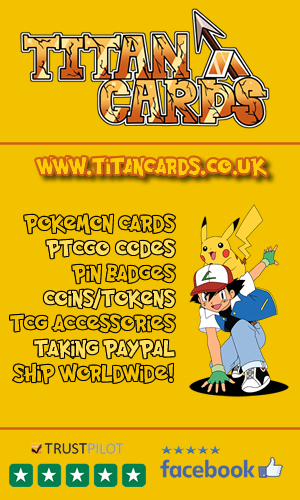 Fishing for more mons?. Some people know Marlon as "A Bigger Splash Than the Sea!" Marlon's team consists of: Carracosta (Level 45-49) a water/rock type, Wailord (Level 45-49) a pure water type, Jellicent (Level 47-51) a water/ghost type. If you can defeat Marlon he'll award you the eighth and final badge you need to get into the Pokémon League, the Wave Badge. He'll also give you TM55 (Scald). "Sup! Here already, huh? You look strong! Shoots! Let's start!" Just like the previous titles the Elite Four of Unova can be faced in any order, the people you will face and their specialisms are unchanged from the original Black & White games. You've got tougher since you first took them on two years prior, but so have they, expecting a greater resistance than you did the first time you took them on. Also Alder has moved on and there's now a new champion, and it's someone you might just recognise from the previous games. Two years have passed since you first faced Shauntal, she remains part of the Elite Four and her team is stronger than ever. Her Cofagrigus is now Level 52-56 (from 48), her Jellicent has been dropped from the team in favor of a Drifblim (Level 52-56) ghost/flying type, her Golurk has levelled up from 48 to 52-56 and her Chandelure has risen from Level 50 to a max of 58. "There is one man who wanders the world with a black dragon Pokémon to pursue idealsB2/white dragon Pokémon to search for truthW2..." That's part of a novel I'm writing. I want to write down the event that happened on that day... Sorry, it has nothing to do with you... You're a challenger, right? I'm the Elite Four's Ghost-type Pokémon user, Shauntal, and I shall be your opponent." Grimsley maintains his position as the second member of the Unova Elite Four. He too has been training hard since the player last met him in battle two years prior. Grimsley still has the same team as last time. His Liepard has levelled from Level 48 to 52-56. He's also still got his Scrafty and it's up from Level 48 to Level 52-56, His Krookodile has raised from Level 48 to 52-56. Bisharp remains the cornerstone of his team and has levelled from Level 50 to 54-58. The Master of Psychic type Pokémon and head of the Battle Castle remains in third position in Unova's Elite Four. Two years of representing the Elite Four has strengthened her team even further since you last met her. Caitlin's Reuniclus has levelled up from 48 to 56, her Musharna is up from 48 to 52-56, her Sigilyph is up from 48 to 52-56 and the cornerstone of her team remains Gothitelle which is up from Level 50 to Level 54-58. Marshal is still the leader of the Unova Elite Four, and his team of fighting types is meaner than ever. Throh is up from 48 to 52-56, Sawk is up from Level 48 to 52-56, Mienshao is up from Level 50 to 52-56 but has been outgrown by his Conkeldurr who went from Level 48 to a max Level of 58. "You look familiar... Ah, yes. I met you at Twist Mountain. The strength you are radiating is far greater now than before! Greetings, challenger. My name is Marshal. I am the No. 1 pupil of my mentor, Alder. In order to master the art of fighting, I've kept training. You're also walking a similar path with your Pokémon. It is my intention to test you--to take you to the limits of your strength. Kiai!" Two years on and Alder has moved on, a new Champion has risen. 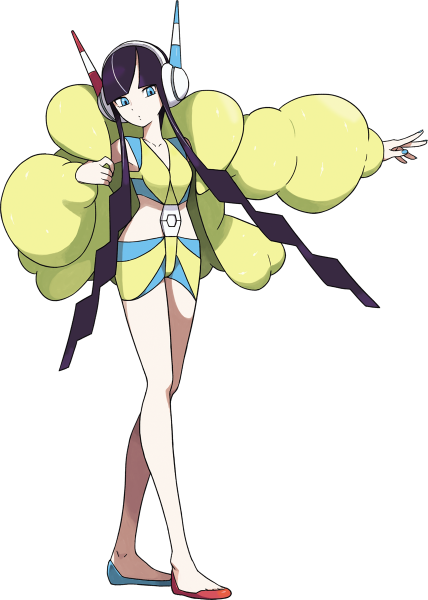 Remember Iris the leader of the Opelucid Gym in Pokémon White? She's the champ now. They call Iris "The Girl Who Knows the Hearts of Dragons" so this should be a clue as the composition of her team. Of her stacked out team of 6 half are dragons. Here's what she's got: Hydreigon (Level 53-57) a dark/dragon type, Druddigon (Level 53-57) a pure dragon type, Archeops (Level 53-57) a rock/flying type, Aggron (Level 53/57) a steel/rock type, Lapras (Level 53-57) a water/ice type and finally her Haxorus (Level 53-59) a pure dragon type. "Know what? I really look forward to having serious battles with strong Trainers! I mean, come on! The Trainers who make it here are Trainers who desire victory with every fiber of their being! And they are battling alongside Pokémon that have been through countless difficult battles! If I battle with people like that, not only will I get stronger, my Pokémon will, too! And we'll get to know each other even better! OK! Brace yourself! I'm Iris, the Pokémon League Champion, and I'm going to defeat you!" Both sequels are compatible with Pokémon Black and White, along with the rest of the games from the same generation that use the GTS (Global Trading System). They can also be linked to games from the fourth generation, like Pokémon HeartGold, SoulSilver, Diamond, Pearl and Platinum. This allows the transfer of Pokémon from the fourth generation games to Black 2 and White 2, while the reverse process is impossible. Furthermore, the games can be linked to Pokémon Dream Radar, which allows the transfer of all the rare items and Pokémon found in there. Check out these videos of the second versions of Pokémon Black & White. Virbank Gym: Roxie's Battle Intro theme Japanese version vs. International version. - They are the only direct sequels. Gold & Silver were at one point in their development intended to be direct sequels to Gen I but they never followed through on it. - They are the first paired version of core series games that don't have version specific exclusive Pokémon, the only difference being its form. - Pokémon Day Care is not accessible until the player enters the Hall of Fame. - For a first in the series, the game mascots cannot be caught without trading prior to the player entering the Hall of Fame. They also can't be caught during the first encounter with them. Black and White Version 2 are the last Pokémon core series titles to actually use the word "Version" in the titles. If the players selected gender is male, go to Nimbasa City and visit the Rondez-View Ferris Wheel during Autumn, there you will find an NPC called Nursery Aide Enatsu (or June, in English). In the Japanese versions June is a man who disguised himself as a woman to try and get a job as a Nursery Aide. This must be some form of real life reference to something? Koga is not present in either version of the game, yet all current and former gym leaders are. For the first time we see a rival (Cheren) progress to gym leader status within the same generation. Whereas previously Blue took a full generation to achieve that same status. Many of the moves with more powerful base power (100+) have had their animations changed. For the first time in the series, the player is forced to save the game at certain points in the story, for example they have to save their game in the main story before they can enter the hall of fame. Meaning the player must save the game at Pokéstar Studios once they've produced their first movie. There is a trainer in the games called "Guitarist Billy Jo", the character looks like a female version of Billie Joe Armstrong from Green Day, and the name suggests thats who it's based on. Black & White Version 2 were the last core series games which were designed for the DS AND its alternative models the DS Lite, DSi and DSi XL. The intro for Pokemon Black 2 has a black silhouette of Black Kyurem on a dark, misty screen whereas Pokemon White 2 has White Kyurems Silhouette on a bright, yet still misty screen. The only other minor difference being just before the appearance of Zekrom in the intro there is a blue light in the upper left corner in Black V2, where in the White version it's a red light at the bottom right. It's the little things right? 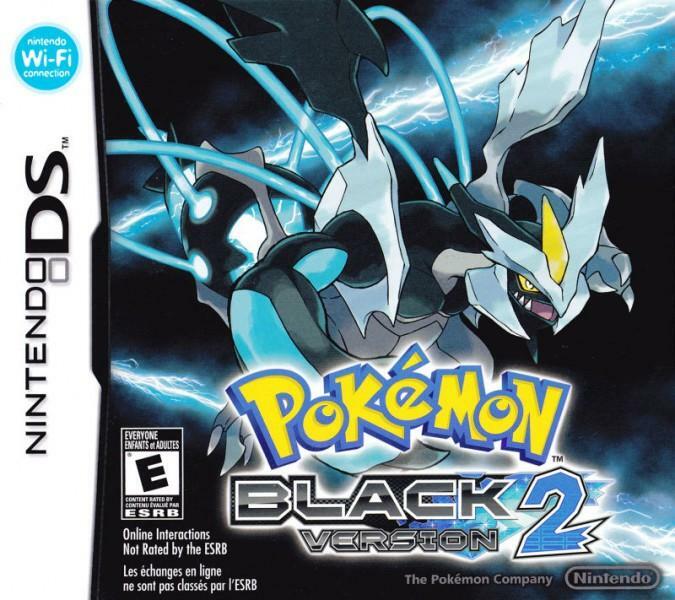 Junichi Masuda and Tsunekazu Ishihara stated that Black and White's second versions were created as paired games instead of the usual 'third' game that comes after a pair because they and their development team wanted to use a game mechanic that required two games. Like in many core series titles a rain of Diamond Dust can be witnessed in-game; this time if you go to Iccirus City and/or Route 8 on various dates incl New Years Eve (Dec 31st). Once you witness the Diamond Dust celebratory rain you can go and claim a medal the next time you see the Medal Master. Route 10 is no longer in the game, but if you go to Iccirus City in Winter, head inside the ex-Rocket Grunt's house and speak with the NPC who claims to be the sound designer, the music will then change to the old Route 10 theme. 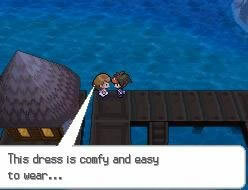 In Humilau City theres a lady stood on the pier who says "This dress is comfy and easy to wear", this is reminiscent of the original core series Pokémon games where Youngster Ben says a similar "Hi! I like shorts! They're comfy and easy to wear." 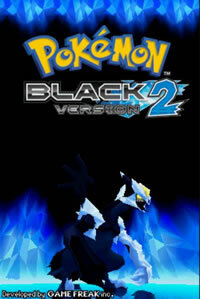 Pokémon Black & White Version 2 sold a total of 8.52 million copies and netted 435 million USD in sales. It was the first time we'd seen Pokémon games get direct sequels so it was interesting to see how that would affect sales, and in short B&W Version 2 sold more combined copies than any of the 'third' games of a gen like Platinum, Emerald, Crystal etc. They sold less copies than popular remakes such as HeartGold and SoulSilver, Omega Ruby Alpha Sapphire and so on. I believe the reason for this is firstly that a) Black & White sold less copies than all the other gen's main series paired titles, that didn't help. b) They are SEQUELS, so we've just eliminated 90% of the world that didn't already play Black & White, as I don't know about you, but I don't know many people who would buy a sequel to something they hadn't played the first version of. So all in all, converting over 50% of the fans who bought Black & White to buy Black & White 2 is far from bad going. Black and White's second renditions garnered interesting responses from critics and users alike in terms of their reception in comparison to the original B&W titles, with IGN actually praising them and rating them higher than the originals, but the review aggregation sites showing the second versions with lower average scores than their predecessors. Audrey Drake reviewed the game for IGN and scored it a best-yet (for a Pokemon title, by IGN) 9.6 out of 10. "Look no further - the perfect realization of Pokémon on the DS has arrived." GameSpot's Ashton Raze however was a lot more critical scoring the game only 6.5 out of 10, a low for the series in recent years and commenting "Despite being plenty of fun and sporting a few new tweaks, Pokemon Black 2 fails to outshine its predecessors." This is a sharp contrast to IGN who have generally been 'there or thereabouts' at similar scorings with GS on most previous Pokemon titles. The aggregate score over 57 critic scores on Metacritic currently stands at 80/100, whilst that's still a good score on the scale of things, this is down from the of 87/100 enjoyed by the original Black and White games. Next of the aggregation sites we have GameRankings where B&W V2 hold an aggregated score of 81.31% across 36 reviews. This is again a decent score but lower than the scores held by the original B&W which are at 81.31%. The Japanese publication Famitsu magazine gave Black V2 and White V2 a strong 36/40. One of the highest scores Famitsu has awarded a Pokemon title to date.